We provide testing and analysis equipment to the industrial water treatment and process industries. Our extensive product range includes high quality field testing kits, analysis equipment and chemical reagents that accurately test the quality of water and other aqueous solutions.Water testing kits are engineered to be rugged, reliable, accurate in use, cost effective in their application and are manufactured to the highest quality standards. 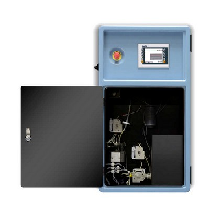 SGM BOD Analyzer is a unique process analyzer for determining short-term Biological Oxygen Demand (BODst) in waste water and surface water and fits into a control strategy for activated sludge plants. 1. Human interface: 10.4" color touch screen with excellent viewing angle and graphics. Can remotely be taken over by LAN ethernet software (VNC). 4. First class and robust moving components such as low-speed peristaltic pumps and patented single O2 electrode Respiration Module. 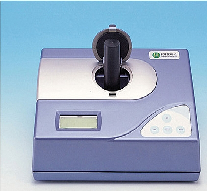 The analyzers are equipped as standard with a probe and stirrer and optionally the analyzer can be extended with dispenser(s) and diluent pump. The analyzers are supplied with software for data handling and instrument control. The versatility and flexibility of the analyzers and the software allows an easy integration into any laboratory environment. The COD of the final effluent is a critical parameter for environmental requirements on many chemical and food industries. SGM COD analyzer offers fast and reliable on-line measuring system needed to effectively monitor COD level in waste water. The measuring method and the temperature control system from the past are condensed and a reagent-saving, power-saving and space-saving as well as the improvement of the maintenance, the excellent operability and the reliability are achieved. 1. The measuring method of this analyzer is based upon JIS K0806 "chemical oxygen demand (COD) automatic measuring instrument. 2. The reagent consumption can be saved to the limit. 5. There is no tube close and tube pollution by a little sample (about 20 ml) and the washing every measuring cycle. 6. A calculation function is built-in as the standard. 7. The easy operation by the large touch panel LCD is achieved. Two version of COD analyzers are available: dichromate method and permanganate index method. The permanganate index is defined as the quantity of oxygen, expressed as mg/l, equivalent to the consumed permanganate when a water sample is treated with as solution of potassium permanganate in acid environment and at a temperature of 100°C for 10 minutes. 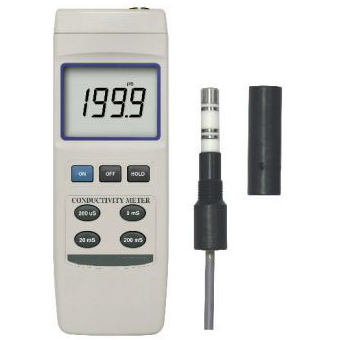 Our range of Conductivity Meters is perfect for agricultural industry, water conditioning, beverage, quality control, laboratories, universities and many other domestic and commercial uses. These meters feature automatic temperature compensation, a fixed 2 % / °C temperature coefficient and come with a rugged and splash proof carrying case to keep to instrument safe while not in use. These units also come with auto power off function and this feature saves the power of instrument for a long time. Mains operated, 3 ½ digit LED display with facility for Auto/manual temperature compensation and cell constant adjustment, supplied with PVC conductivity cell and other accessories. SGM lab solution introduces its most demanded water testing instrument which is known as Dissolved Oxygen Meter. Dissolved Oxygen Meter is very useful instrument for determining factors in a swimming pool, spa and water from of other places too. 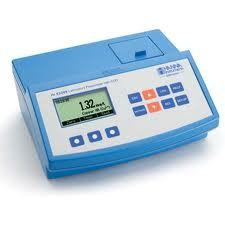 In other words, dissolved oxygen analysis measures the amount of gaseous oxygen (O2) dissolved in an aqueous solution. The most common application is to measure the exhaust gas concentration of oxygen for internal combustion engines in automobiles and other vehicles. Divers also use a similar device to measure the partial pressure of oxygen in their breathing gas. Performance, exclusive features and value are the benefits of this complete line of dissolved oxygen meters. The sensor does not actually measure oxygen concentration, but rather the difference between the amount of oxygen in the exhaust gas and the amount of oxygen in air. Rich mixture causes an oxygen demand. This demand causes a voltage to build up, due to transportation of oxygen ions through the sensor layer. Lean mixture causes low voltage, since there is an oxygen excess. In soil respiration studies oxygen sensors can be used in conjunction with carbon dioxide sensors to help improve the characterization of soil respiration. The Clark-type electrode is the most used oxygen sensor for measuring oxygen dissolved in a liquid. The basic principle is that there is a cathode and an anode submersed in an electrolyte. Oxygen enters the sensor through a permeable membrane by diffusion, and is reduced at the cathode, creating a measurable electrical current. 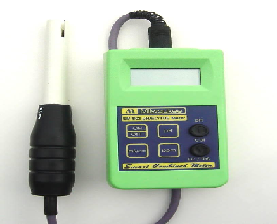 SGM Ion concentration meter which automatically calculates the relationship between two or more concentration standards and stores this in memory allowing unknowns to be read directly. 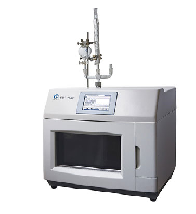 With two points fluoride ion concentration function users can directly test fluoride ion concentration of samples. Fixed stirring rate can be set of intelligent stirrer. Identify key will automatically be calibrated instrument. These instruments are useful in the field of Food Safety, Petrochemical, Water quality checking, Aqua Culture, Biological Agriculture, Environmental Protection and Research and Education. This is a new style of equipment that can be used in any materials of all kind of viscosity. With characters of vacuum, compressing, cold-hot jacket and reliable airproof, the equipment reaches the requirements of changing the craftworks from the customers, and it's specific integration of cutting machine, dispersion machine and anchor-style mixing device make the best blending effect. A multi-function compact chemical reactor designed for hydrocarbon steam reforming was evaluated. The reactor design is based on diffusion bonded laminate micro-channel heat exchanger technology. The reactor consists of a combustor layer, which is sandwiched between two steam reforming layers. Between the two function layers, a temperature monitor and control layer is placed, which is designed to locate the temperature sensors. The combustor layer has four individually controlled combustion zones each connected to a separate fuel supply. The reactor design offers the potential to accurately control the temperature distribution along the length of the reactor using closed loop temperature control. The experimental results show that the variance of temperature along the reactor is negligible. The conversion efficiency of the combustor layer is approximately 90%. The heat transfer efficiency from combustion layer to reforming layers is 65% to 85% at 873 K and 673 K, respectively. The heat transfer rate to the reforming layers is sufficient to support a steam reformation of propane at a rate of 0.7 dm3/min (STP) with a steam to carbon ratio of 2 at 873 K.
pH is a measure of how acidic the water is. The pH meter electrode is the part that actually senses the pH in the solution or in other way, one can define pH as an electronic instrument used for measuring the pH (acidity or alkalinity) of a liquid. A pH meter is a precise voltmeter that measures the potential difference, in thousandths of a volt (mV), between the reference electrode and the measuring pH electrode. It's scaled in such a way that it displays not the measured potential, but converts it to a display of pH. 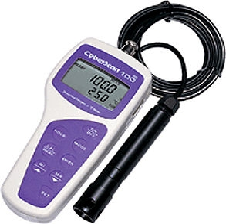 A typical pH meter consists of a special measuring probe (a glass electrode) connected to an electronic meter that measures and displays the pH reading. The SGM- PHS can series are very economical microprocessor based pH/mV meter, is ideal for routine use in schools, laboratories and production plants. This microprocessor based hand help pH meter is easy to carry and use in field as well as the laboratories. 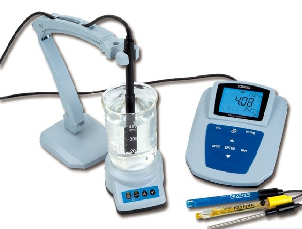 This unique hand help pH meter is water proof extremely sturdy and accurate, thus making it ideal choice for indoors as well as outdoor usage in industrial as well as laboratory applications. TOC analyzers are big on performance. 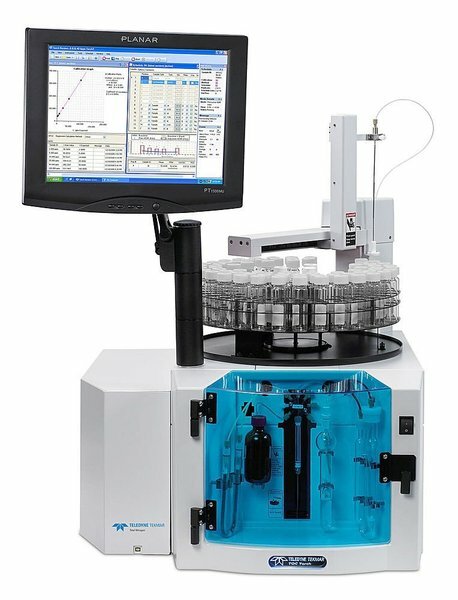 Add the extra capabilities of an Autosampler to automate your analysis or add a stand-alone Solids TOC Analyzer to analyze solids, sludges, and slurries. With outstanding accuracy, easy use, and reliability, SGM Analytical TOC analyzers are the preferred choice for your TOC measurement needs. A typical analysis for TOC measures both the total carbon present and the so-called "inorganic carbon" (IC), the latter representing the content of dissolved carbon dioxide and carbonic acid salts. Subtracting the inorganic carbon from the total carbon yields TOC. Another common variant of TOC analysis involves removing the IC portion first and then measuring the leftover carbon. This method involves purging an acidified sample with carbon-free air or nitrogen prior to measurement, and so is more accurately called non-purgeable organic carbon (NPOC). 1. TOC is the first chemical analysis to be carried out on potential petroleum source rock in oil exploration. It is very important in detecting contaminants in drinking water, cooling water, water used in semiconductor manufacturing, and water for pharmaceutical use. Analysis may be made either as an online continuous measurement or a lab-based measurement. 2. TOC detection is an important measurement because of the effects it may have on the environment, human health, and manufacturing processes. TOC is a highly sensitive, non-specific measurement of all organics present in a sample. It, therefore, can be used to regulate the organic chemical discharge to the environment in a manufacturing plant. In addition, low TOC can confirm the absence of potentially harmful organic chemicals in water used to manufacture pharmaceutical products. TOC is also of interest in the field of potable water purification due to disinfection of by-products. Inorganic carbon poses little to no threat. SGM Analyzers are automatic on-line systems, providing accurate readings in stable repeated testing procedures. A method of analyzing water to estimate the numbers of bacteria present and, if needed, to find out what sort of bacteria they are is called water analysis. Pre-assembled water analysis and monitoring systems provide customers with everything they need in a single package – simple to install and easy to operate. 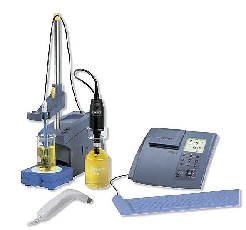 These systems can be used to measure everything from pH and conductivity through to silica and phosphate. Supplied fully pre-manufactured and pre-tested, ABB’s system assemblies are delivered to site ready for operation. Only connection to samples, drains, power supply and signal outputs is necessary on site. The hardness of water is due to the presence of magnesium and calcium. These make washing difficult, wastes soap, and creates unpleasant scum and scale deposits. With a zeolite system, the calcium and magnesium ions are substituted on a one-to-one basis with sodium ions from a conditioning resin. Once all the sodium ions are exhausted, the resin has to be regenerated. SGM Water hardness/ Water tests meter is an easy to use and inexpensive instrument for determining water hardness or softness. High TDS may indicate hard water, which causes scale build-up in pipes and valves, inhibiting performance. Since TDS is related to water hardness, using a TDS meter can be your first step in determining the degree of hardness of the water. Generally, the higher the level of TDS (ppm), the higher the degree of hardness. Water hardness is typically reported in grains per gallon, milligrams per liter (mg/l) or parts per million (ppm). One grain of hardness equals approximately 17.1 ppm (mg/L) in TDS.